Theo is sixteen, and unhappy. He stumbles into the life of an elderly neighbour, Anna. Together they share their secrets and Anna, by telling the story of her own life as a teenager, helps Theo face up to his difficult emotions. 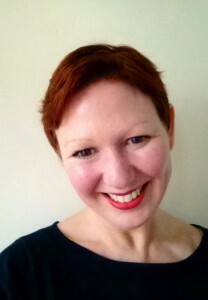 This is the debut novel of English author Ria Frances [below] and, despite the unflinching approach to a difficult subject, is I think aimed at teenagers. It tells the story of Anna, a teenager in the Second World War, on the run with her parents from the German army. 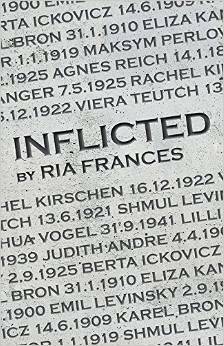 Her mother dies and Anna is separated from her father as they are taken to Theresienstadt, the city-turned-ghetto run by the Nazis. Anna’s story of hardship is a difficult emotional read, the author does not sweeten the hardships, but the central message is one of hope, courage and love amidst suffering. I wanted to know how Anna’s story ended, even though the adult Anna was telling her own story, because I was curious about her journey from the Czech village of Lidice, to Theresienstadt, Berlin and finally to Sussex in 2010. Curiously, it was Anna’s story which drew me on not Theo’s. I found the ending rather rushed and difficult to follow, perhaps in the author’s effort to tie-up all the loose ends. But I don’t mind some loose ends at the end of a novel, it leaves the story fresh in my mind and gives me something to consider. Click here for Ria Frances’ website.